This isn’t just one of the best games of the year - it’s one of the best games I’ve ever played. I get the feeling that FromSoftware’s reputation for making masochistically difficult games is going to turn a lot of people away from playing Sekiro. And, in fairness, it can be a difficult game. Discounting Souls-like experiences like Ashen or Darksiders 3, I’ve never played a true Dark Souls game before. So when I say I will never be that freakish person who plays through all of Dark Souls on Twitch without taking a single hit, I mean it. But when you’re playing Sekiro, that’s more-or-less what you’re doing. If anything, it’s how you’re expected to play. You’re supposed to be a Shinobi, after all. And there’s something intrinsically rewarding about meeting the high expectations that Sekiro has of you, no matter how unreasonable they might seem at first. That magical and magnificent moment when you surprise yourself and break through the mental wall that’s been holding back your progress is hardly unique to Sekiro but it’s rare to find a game that facilitates it this well. It feels like an evolution, rather than just extension, of the formula that FromSoftware have been exploring in prior games. 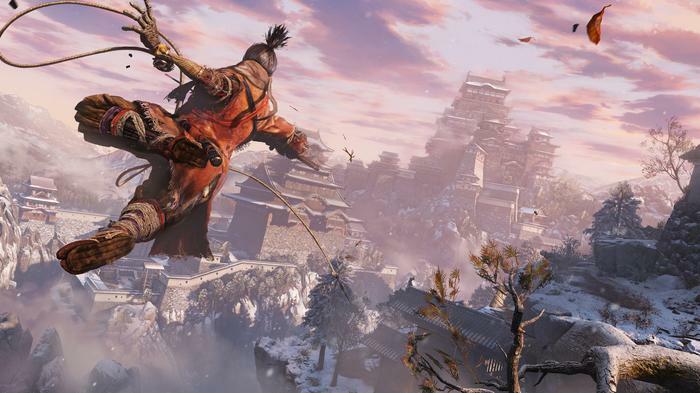 Sekiro: Shadows Die Twice is a difficult game but it rarely feels unfair or unreasonable in its expectations. It usually just comes down to learning what the fight is asking you to do. Once you understand, all that remains is the execution. 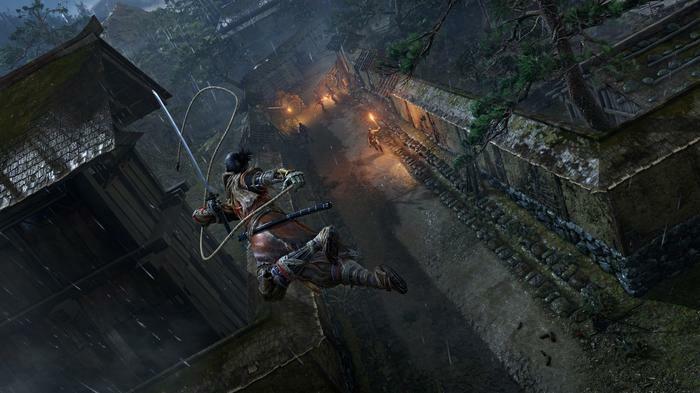 The latest from Souls mastermind Hidetaka Miyazaki, FromSoftware’s Sekiro: Shadows Die Twice is a third-person action game with a high difficulty curve and a grim sense of atmosphere. In these respects, there are plenty of parallels with Miyazaki’s earlier works. However, in many ways, Sekiro feels like something very different. Where Dark Souls and Bloodborne lean towards the fantastical, Sekiro embraces the historical. Set during the Sengoku ‘Warring States’ period of Japanese history, you take on the role of a nameless shinobi - later nicknamed Sekiro or the One-Armed Wolf - on a quest to save the liege lord he’s sworn to protect. At the start of the game, you fail in this task. Everything that comes afterwards has to do with rectifying that initial failure and protecting The Divine Heir from those who would exploit the supernatural properties his blood contains. There’s a distinct richness and texture afforded to the setting but also a sense of weight to the way Shadows Die Twice handles its particular metatextual baggage. Even in the best hands, Immortality isn’t a universal good. The core conceit here isn’t to do with whether it’s good or bad to live forever but rather who wears the cost of immortality - because there is always a cost. In this way, it acts as a really thoughtful and compelling metaphor for privilege. And if the knack of Bloodborne and Dark Souls was about learning to fight creatures many times greater than yourself, Sekiro: Shadows Die Twice is about learning to fight opponents just as capable as yourself. With a few exceptions, most of the game’s mini and major bosses are humanoid in nature. You’re fighting men, not monsters. What’s more, they’re subject to the same rules you are. Take damage, and you’ll lose health. Obviously, run out of health and you’ll die. However, any potential damage can be blocked by using a parry. When you parry, you’ll instead take posture damage - which regenerates over time. In addition, deflecting an incoming blow at just the right moment will damage your opponent’s posture. Fill up the posture bar at the top of the screen, and you’ll be able to instantly deliver a deathblow to any opponent - no matter how high their health is. 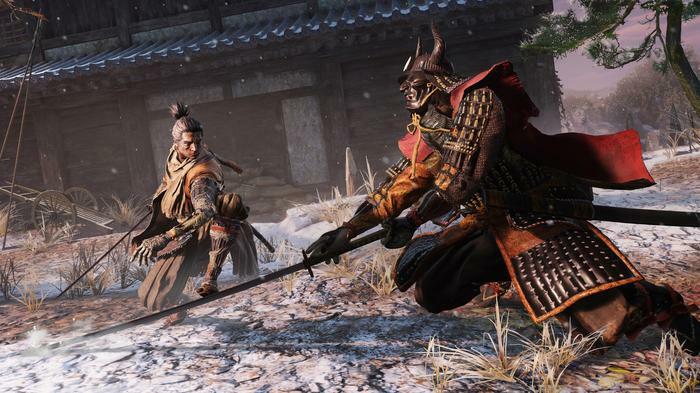 Though deceptively simple, Sekiro gets an enormous amount of mileage out of these ground rules. Some fights are about breaking your opponent’s posture, others are about hurting their health. You’re playing as much to learn each fight as you to win it. The two variables that complicate this picture are the shinobi prosthetic and Sekiro’s resurrection mechanic. Acquired early on in the game, the shinobi prosthetic is a mechanical appendage that Sekiro can kit out with various abilities. One ability might give you an axe that you can use to break through enemies who carry large shields. Another might let you throw firecrackers that’ll temporarily stun and disorient your foes. Where the posture-parry system in Sekiro is about repetition, balance and perfection, the prosthetic system invites creativity. You can swap between your different prosthetics at any time, so you’ve got a lot of freedom to experiment and find inventive solutions to the problems that the game’s trickier enemies present. Stealth is also a factor. The grappling hook capabilities of the shinobi prosthetic give you the option to sneak past enemies or ambushing them for easy kills. Sekiro even lets you do this on most bosses, allowing smart players to halve the length of a fight in an instant. As far as fulfilling the fantasy of being a ninja slinking along rooftops and hiding in the shadows goes, Shadows Die Twice hits all the right notes. Finally, as the game’s title suggests, Sekiro is able to revive himself upon death. The catch here is that you’re (initially) limited to one revive per fight but it’s a good hook nevertheless. It gives you a bit more breathing room to recover yourself, even if you make that one fatal mistake during an intense boss fight - something that’s very important in later playthroughs. 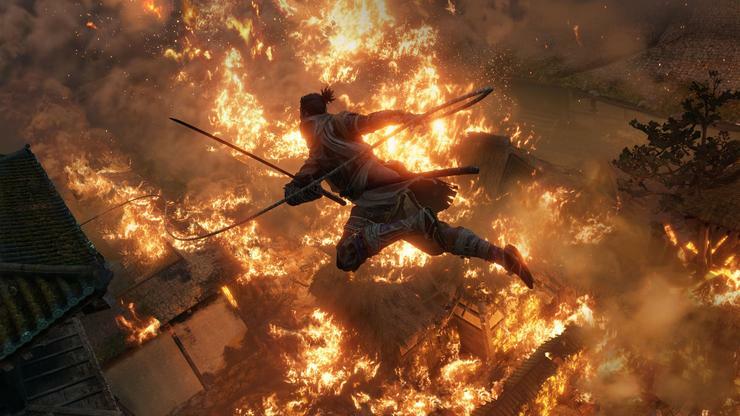 Of course, all this isn’t to say Sekiro: Shadows Die Twice is perfect. It’s not. I’ve lost count of how many times the game’s frustratingly inconsistent camera got me killed. I found the way the game keeps track of side-quest progress really opaque. I wish the tutorial NPC who offers to train with you had more to offer and that the additional damage upgrades you get in later playthroughs had more consequence and weight to them. Though (thankfully) optional, the Headless boss fights in the game are also quite frustrating in that Sekiro doesn’t really do much to teach you how you’re supposed to approach them. They're a little too sink-or-swim, in my opinion. The Dragonrot mechanic in Sekiro is also a bit of a downer. The more you die, and specifically the more times you resurrect, the sicker the NPCs around you become. If an NPC is sick, your chances of receiving Unseen Aid - a buff which cancels out any XP and gold loss when you die - are reduced but more importantly, you’re unable to actually progress any side quests that involve those NPCs. Eventually, you do find a way to cure Dragonrot. However, the resources you use to do so are extremely limited in quantity and their effects usually only last until you get stuck on the Sekiro’s next difficult boss fight (and die enough times to send everyone back to their deathbed). There’s only a certain number of chances to alleviate Dragonrot in the game - and it’s all too easy to miss or accidentally waste them. It didn’t take long before a second playthrough was basically required in order for me to complete most of the side quest content in the game. And for all that the difficulty of the game does contribute to the sense of satisfaction you get from overcoming it, I do also feel like a more newcomer-friendly form of on-boarding might make Sekiro better. An “easy-mode” isn’t maybe what I’m after but a setting that allows for slightly wider margin of error - or maybe additional resurrections - isn’t an awful idea. Like I said before, I can’t shake the feeling that FromSoftware’s reputation for making “difficult” games is probably going to turn people who might end up loving this game away from trying it at all. Still, so much about Sekiro: Shadows Die Twice just works and it doesn’t hurt that the game is so incredible to look at. 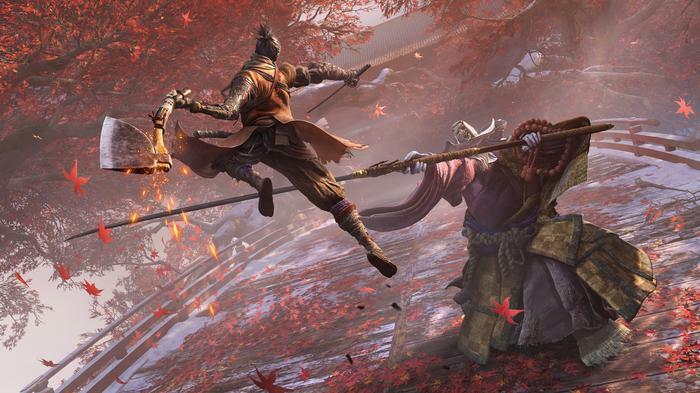 The mythical folklore aesthetic that Sekiro is going for lands so well that it’s hard to stay mad at the game for long. The dialogue crinkles with the weight of history, the trees sway with the gust of the wind and steel swords crackle as the slam into another with ferocious zeal. Perhaps most impressively, Sekiro manages to find a good balance between diverse level design and environmental variety that feels like a natural extension of the same seamless landscape. Early on in Sekiro, I encountered an enemy with a spear. And I order to deal with an enemy with a spear, you have to regularly execute what's called a Mikiri Counter. Rather than try to block an incoming attack, you dodge into it - stepping on your opponent's weapon, stomping it into the dirt and dealing a massive amount of posture damage in the process. The Mikiri Counter can be tricky to pull off but incredibly satisfying when you do. The thing is, I could never made it work outside of the tutorial trainer. This one mini-boss became a roadblock that I couldn’t for the life of Sekiro overcome. So I backtracked, hoping to farm up some gold. Maybe I’d find a new shinobi prosthetic upgrade or two. I ended up stumbling on an entirely new branch of the world map. Life went on. Later, I came back with several new upgrades. And this time, it didn’t matter that I couldn’t execute the Mikiri Counter. With a bit of creativity and attrition, I managed to overcome adversary and take down my spear-wielding opponent. Who needs the Mikiri Counter? Not me. That is, until I reached Sekiro’s final boss fight. Without spoiling too much about the game’s finale, it’s safe to say that my ability to complete the fight was impeded by my own inability to execute and refusal to learn how to pull off the Mikiri Counter. So I focused on that. I wasn’t fighting to win. I was just fighting to see what happened. Watching how my opponent moved. Learning their moves and waiting for that bright red kanji to appear on the screen, warning me that they were about to unleash an attack that’d require me to initiate a Mikiri Counter. To start with, I died a lot. Then, I died less. Eventually, I got there. And, having finally mastered the Mikiri Counter, the final boss fight in Sekiro became a breeze. I’d barely take a single hit and I’d effortlessly capitalise on every opportunity that came my way. Where before I was happy to let the boss dictate the tempo of the fight, I now took the lead. The point I’m trying to make here is that. 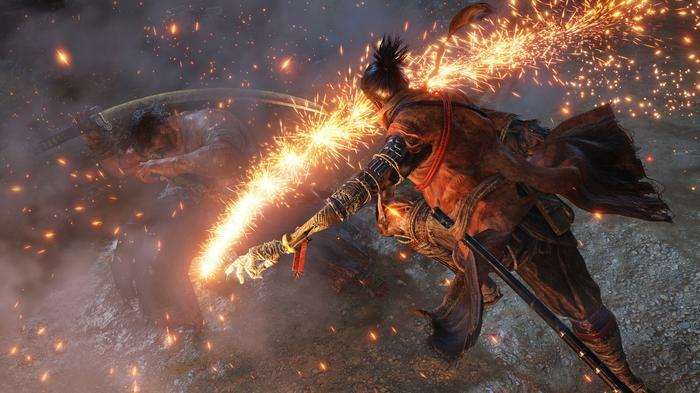 with the exception of some of the optional side bosses in Sekiro, most of the fights the game throws at you are ultimately fairly straightforward. Your opponents don’t get better over time. You do - and you will. If you’re finding the game too hard, it just means you haven’t caught on or aren’t listening to what FromSoftware are trying to tell you about the encounter. The rules of posture and health management apply equally to enemies as well as yourself. And so long as you’ve got that to fall back on, nothing is impossible. 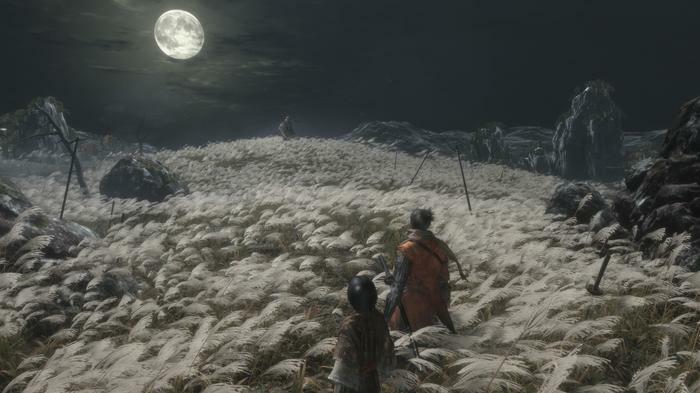 At times, the hill you have to climb to get through Sekiro: Shadows Die Twice feels insurmountable but the sensation you get when you’re at the top of that mountain looking down is nothing short of indomitable. This isn’t just one of the best games of the year. I think it’s one of the best games I’ve ever played. 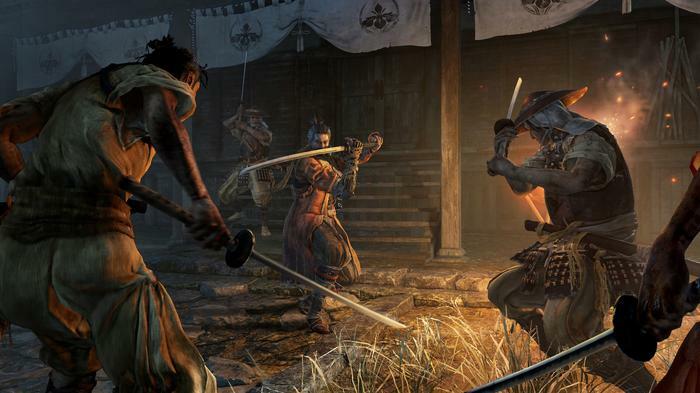 Sekiro: Shadows Die Twice is available on PC, Xbox One and Playstation 4 now.